« BUSY BEE.BUSY BEE.BUSY BEE. BUSY BEE.BUSY BEE.BUSY BEE. Do you believe in demons? 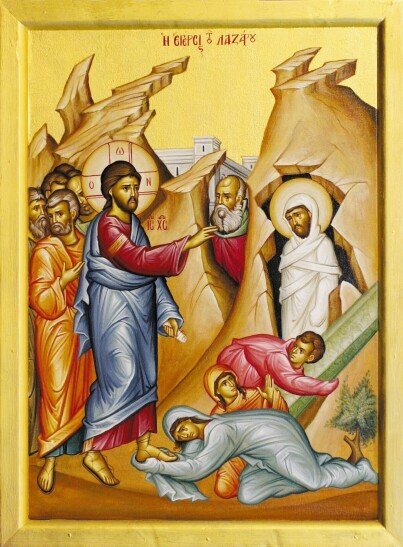 Yesterday’s gospel reading of the Gadarene demoniac (Luke 8:26 – 39) sheets home a central issue relating to our faith. Had my initial question posed: “do you believe in Christ?” An affirmative answer would have been given immediately. But, posing the question about demons, seriously challenges us. Recently, it was said to me by someone that a belief in demons is “unbiblical”. If Christ is the life, the truth and the way and if no one can come to the Father except through him (John 14:6) then how cannot anyone who believes in Christ not believe in demons? For,it is precisely THIS problem that principally occupies Christ in relation to his healing towards us in the Gospels. Demons are bodiless powers who chose to exercise their free will against God. Man stands no chance against the wiles of demons, we are hopelessly mismatched. Our only hope is Christ because ” the prince of the world” has no power over him (John 14:30). Notice that, as spirits, demons need to occupy a living thing to be able to implement their evil. That is why they begged Christ to occupy the herd of swine. Here is a great teaching in a nutshell: if you believe in Christ then you must believe in the devil; understanding that the devil is active in your life is the precursor to allowing Christ to fight the devil for you – if you ask him by inviting him into your heart; once the devil is defeated then eternal vigilance is required because we are always prone to backsliding into sin. Programme for this week is as follows: tomorrow (Tuesday) feast day of St James matins from 7:30 AM; 6:45 PM adult education classes – topic “we will build a world of our own – the nature of good and evil” (now that should spark your interest!) Friday feast day of St Demetrius from 7:30 AM; Saturday English liturgy 9 AM to 10:15 AM. Our Patronal feast day is on 9 November. On that day we will be holding a sweet/savoury stall so I would ask that all parishioners who can contribute to the stall to please do so. We particular welcome new contributors. Remember it is by contributing that we feel a sense of belonging. Mark in your diary… Our luncheon (our major fundraiser for the year) is on 11 November. Tickets are $30 each. The meat will be grilled by the Souvla boys who do a great job. We have increased the price to $30 because we have maintained the price for the last five years yet our costs of operations have increased dramatically. We have no independent means of raising income other than through our church activities and, I think we are doing good work which deserves your support. There are only 250 tickets so please be quick. Children are at the usual discount. Our food store had a bit of a run on it last week (which is great news – because it is achieving what it set out to do). We need canned foodstuffs, honey, sugar and other long life items. We also need large ladies handbags in good condition. Please do not bring other clothing until we have put our proper shelving in place. Thank you for your consideration. . If you wish to help financially the account details that our store operates from are: BSB 082057 account 616004624. There is an old Cherokee story that talks of each person having two wolves inside of them fighting: one evil full of anger, envy, greed, arrogance, self-pity, resentment and self-importance and the other good full of joy, peace, hope, humility, kindness, compassion and faith. The question is posed: which wolf will win?… And the wise answer: the one you feed. How do we as Christians feed the good one? – the answer to that is through following in faith our Saviour.